This curriculum was developed by the National Blood Clot Alliance as part of Cooperative Agreement with the Centers for Disease Control and Prevention (CDC). Continuing education is available upon completion of the full course, the post-test, and evaluation. Click here to read details on the continuing education credit for this course. *After you register, you will be directed to the online course. As noted, you are eligible for continuing education when you complete all six lessons, answer the post-test, and complete your evaluation of the course. To obtain your CE credits, follow the instructions that appear at the very bottom of the page here. 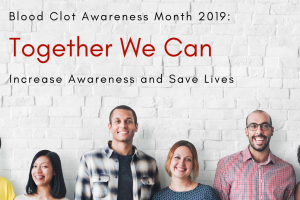 If you have any questions or require technical assistance, please contact NBCA’s Director of Communications & Health Marketing, and Course Developer, at lfullam@stoptheclot.org.